Do you own khaki pants? No? Well, you really should. There are many reasons to own at least one pair of khakis. 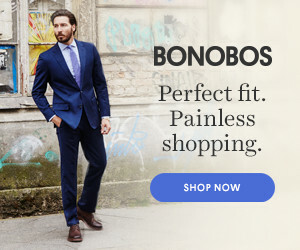 First of all, they are perhaps the most versatile pants along with jeans. If jeans can be too casual while slacks are too formal, then there are khakis to save your day. Consider them your wardrobe essential – pants that you can wear practically with anything & everything. Sport ‘em pants at work, school, weekend trips, and nights out to the club/pub.. etc. You name it! Here are a few examples on styling your khaki pants. Work – Look put together at your job in a gingham button down, belt, khakis and oxfords. A sleek briefcase would be a plus. Vacation – Look effortless and relaxed in a worn-in tee and slip-on sneakers. If you are going somewhere sunny or strolling a beach town at night, roll-up the hems (works the best with slimmer and tapered silhouette) and slip into boat shoes or sandals. Out on a date – Put on your favorite shirt that you feel most confident in. Most likely, khaki pants will accommodate whatever you want to put on the top. Ankle boots are my choice of shoes with khakis especially in the evenings where I’ve got to impress the ladies with my fly style skillz. There are no shortage of khaki shops online but my personal favorites are these clean Dickies men’s khaki pants that can easily can go from the cube to the coast. Get your size in different colors since I can confidently tell you that you will rotate each pair heavily well throughout the year (except summers in AZ, am i right? ).